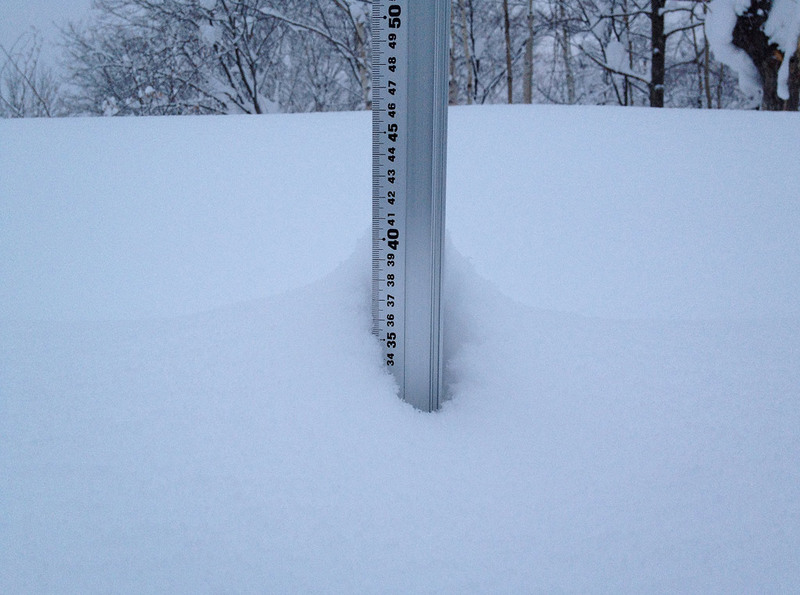 *13.5cm of fresh snow as fallen in the last 24hrs in Hirafu Village with the majority of the snow falling overnight. At 07:00 today the temperature was -3°c. Conditions will be excellent on the mountain with cold temperatures a great layer of fresh snow and no wind. A great layer of beautifully light dry powder snow has fallen over night…it would be rude not to go up for just a few laps!